Viknesh Vijayenthiran February 13, 2019 Comment Now! 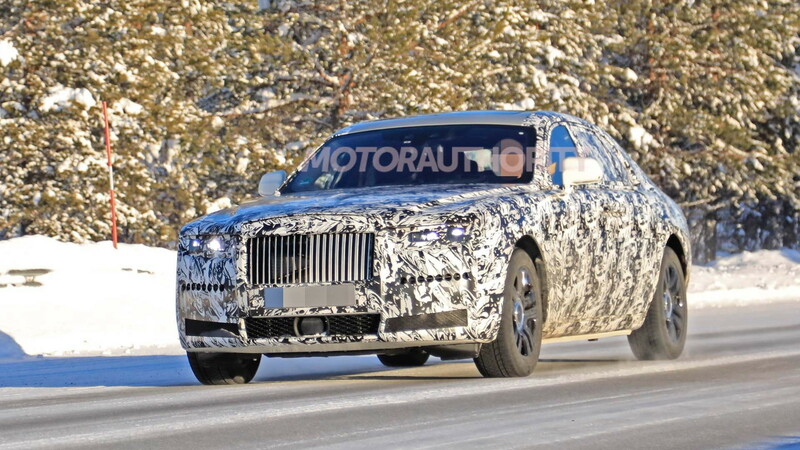 Get ready for a second generation of the Rolls-Royce Ghost, a car you'd buy if you're filthy rich but not an all-out baller. 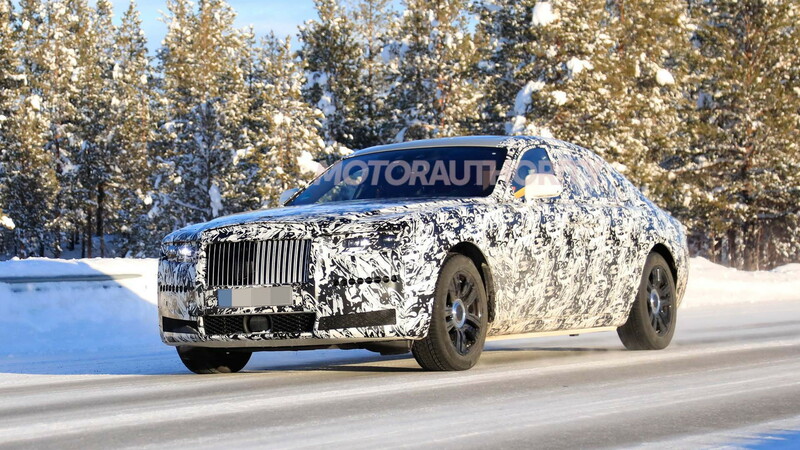 Prototypes for a redesigned version of Rolls-Royce's entry-level sedan have been spotted ahead of an expected debut in late 2020 or early the following year. We should see it arrive as a 2021 model. 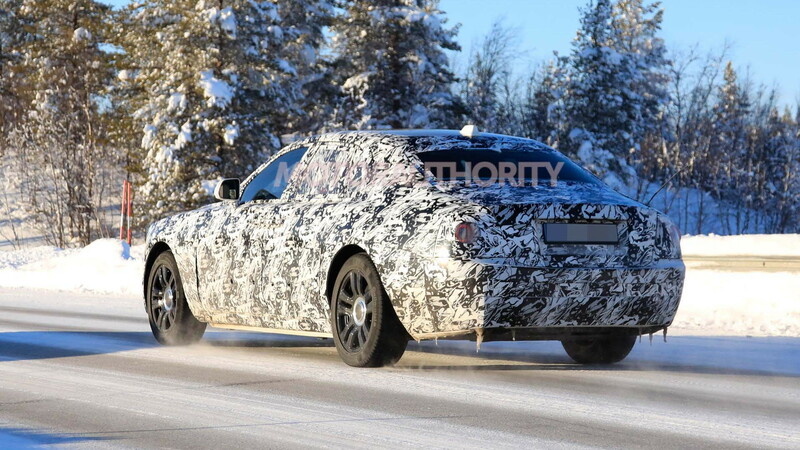 The prototypes reveal the British marque is going with an evolutionary look for its new Ghost, just as it did with the redesign of its Phantom flagship in 2017. There's some extra curvature in the body, especially along the top of the front fenders. The design also appears to be wider and lower than the current Ghost, lending the new car a more imposing stance. The length looks to be similar to the current model, meaning a total length of about 212 inches and a wheelbase of about 130 inches. While the exterior doesn't change much, underneath is a new platform. 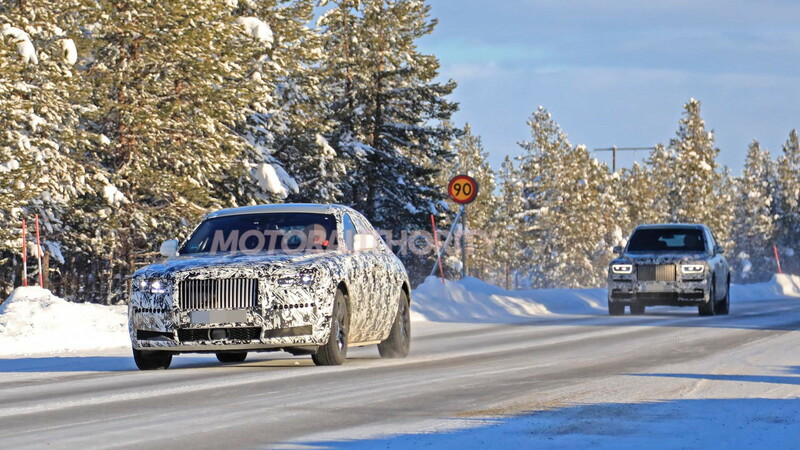 It's an aluminum spaceframe design exclusive to Rolls-Royce and so far we've seen it in the Phantom and Cullinan lines. Beyond the Ghost, the platform should also spawn redesigned versions of the Wraith and Dawn two-doors. Power should come from the same 6.75-liter twin-turbocharged V-12 fitted to the Phantom and Cullinan. The smooth operator generates 563 horsepower and 664 pound-feet of torque, the latter as low as 1,700 rpm. Mated to an 8-speed automatic and driving the rear wheels, the V-12 should hustle the Ghost to 60 mph in well under 5.0 seconds and to a governed top speed of 155 mph. No doubt there will be some impressive suspension wizardry to keep occupants comfy, even on the harshest of roads. Self-leveling air suspension and advanced chassis management to control roll and suspension stiffness should be fitted. Naturally, the interior will offer ultimate luxury. But there will be tech, too. These should include features such as a surround-view camera system, night vision, adaptive cruise control, forward collision warnings, cross-traffic alerts, lane departure warnings, a wi-fi hotspot and a head-up display.